Intertoothh, I am tying to sort out the argument of me being falsely accused of griefing builds in the builder world. While I am very aware that I DO destroy pieces of walls to get inside of builds, I place back the blocks to fix the builds. You accused me of greifing something that, I know for a FACT beast4life griefed. I have this information because my good friend Ace00425 "investigated" this problem and found out that it was, in fact, beast4life who griefed this build. I hope that you are kind enough to unban me from fcraft. Thank you. Yep. Definitely not a griefer. We got the wrong one guys, best unban him quickly. But seriously now, if you don't see the flaw in this argument, then you clearly aren't ready to be unbanned. 1. Follow the template for appeals. 2. 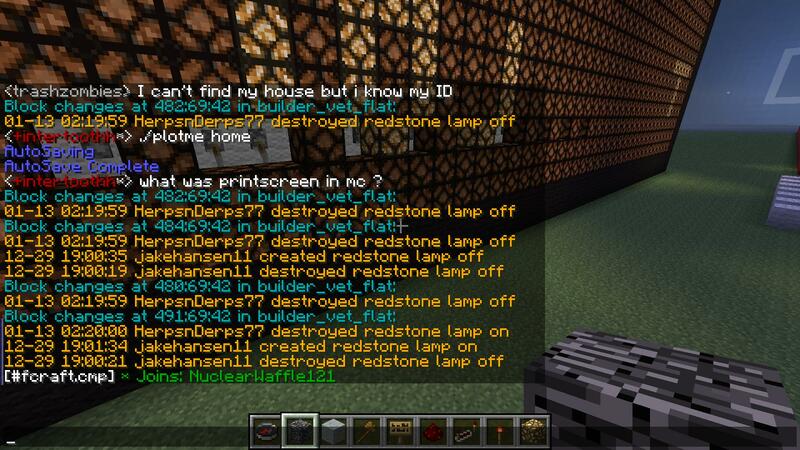 I dont demote/ban people if they deleted 2 blocks, never ever banned somebody for repairing there 'exits'. So, edit your appeal to fit the template, and i'll investigate. Can you explain this as well? The word you were looking for is accusations. Found some more griefs on builer_vet_normal.